Kabwe Municipal Council swung into action and rounded up 13 illegal land allocators. ZANIS reports that Kabwe Municipal Council Public Relations Manager Annie Mumba confirmed the development in an interview, today. Ms. Mumba says the arrest and said the group which included women will be handed over to the Zambia Police. 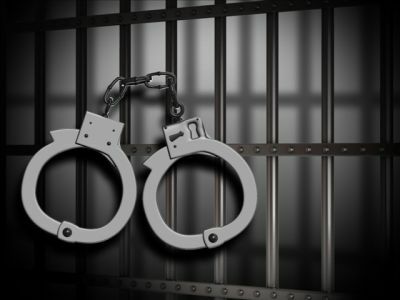 “We carried out an impromptu operation and arrested 13 people who were found illegally allocating land, they are currently in our holding cells and we will hand them over to the police” Mumba said. She said the council will continue carrying out such kind of operations so that they can clamp down on the illegal allocation of land in Kabwe. “The council is the only mandated institution to issue land and we will not allow any illegality in the issuance of land” she said. One of the named arrested women said that she was not part of the people allocating land as she just went to the area to check on her maize field. The woman said to her surprise she found council police officers who asked her to get into their vehicle alleging that she was part of the group that was giving out land. And an eye witness Anthony Simfukwe said he just saw some people whom he knew to be perpetrators of the act scampering when they saw the council vehicle. “I was in my maize field when I saw Mr. Kabamba who is among the people that are allocating land running away from the council police “Mr Simfukwe said. He claimed that the named people had been involved in the vice for some time now and he was not surprised that the council had moved in to arrest the situation. Take them to court to prove their innocence.